Growing a new business to success is a very hard prospect. You have to deal with the lack of incoming leads at first, as well as the problems that come with marketing your product or service on your own. But cold emailing for startups is fast becoming the most effective ways of dealing with these issues, and for good reason. Many startup founders are turning to cold emailing to help them ramp up interest in their products or services. This is especially true for those offering products and services that are targeted towards other businesses. That said, the cold email process can be a bit intimidating, especially for people who have never done it before. First, you have to figure out how to get in touch with the right people within the organizations that you’re reaching out to. How do you make sure that your cold email reaches someone who can make a buying decision and also understands the value of your product or service? And if you manage to get over this fear, you will have to deal with the second challenge: how do you get these prospects to respond to your message? It is no secret that no one likes getting tons of emails from people they don’t know, and this is even more true of the busy executives that you’ll be targeting. But, if you do it right, you will start seeing the benefits of cold emailing. Most startup founders understand just how important cold email can be to lead generation, but they simply don’t know how to run a cold email strategy successfully. This can spell doom for your new business, especially one that depends on new business in order to stay afloat. So, how exactly can you design a great strategy for cold emailing for startups? How do you go about identifying and reaching out to new prospects? And, most importantly, how do you get them to respond and buy your stuff? What Makes a Cold Email Effective? Simply put, a cold email is a message that you send to any potential customer that doesn’t have a prior relationship with you. While that may sound suspiciously close to spam, it really isn’t. Instead, it is much more like a cold call – but way less intrusive and annoying. An effective cold email strategy will give you a chance to contact promising potential customers through personalized email messages. It is a great way of marketing your brand to people that might not have heard of it before. How amazing is that? When used correctly, it is clear that cold emailing has the unlimited potential to transform your startup into a well-known, successful venture. But to know how to do it right, you must first know what to avoid. No one wants to read paragraphs that are way too long in a cold email. So, focus on giving the prospect enough information about yourself, your company, and what you’re selling. There’s a thin line between cold emails and mass, unsolicited messages. True cold emails are specific and personalized to every individual prospect. This is the only way to make sure that your outreach is relevant and authentic. Otherwise, you will end up with emails that are too generic, vague and impersonal, and you’re not going to get too many responses from that. While you can close sales and land new paying customers with cold email, that is not its main goal. 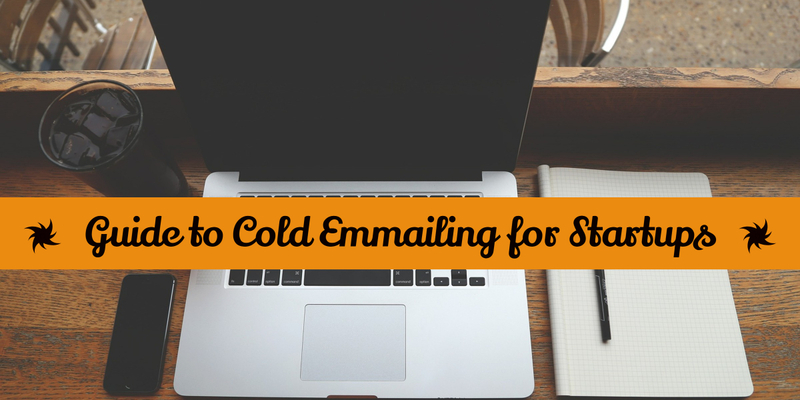 Cold emailing is all about building relationships with prospects, investors, new partners, and even the press. So, if your message is too focused on the sale, your prospects will know right away and this may turn them off. Instead, focus on providing value and building enough trust to propel the next stage of the sales process. Every cold email must give the prospect clear directions on the next step. After they open your email and read it, what’s next? Do you want to schedule a call or meeting, or would a simple reply to your email be enough? A clear call to action makes it easier for potential customers to reply to your email as you want them to. They don’t have to spend time thinking about what to do next. Otherwise, it just might be easier for them to ignore your message or delete it. With that in mind, you can now focus on what elements you must include to craft an effective cold email. In this case, a study by Fast Company that involved 1,000 cold emails show that most of your effort should go into creating the perfect subject line. If your email is not relevant to the prospect Deleted, then you won’t get responses. It really is that simple. Writing effective cold emails requires a clear understanding of the recipient, their problems, and needs, as well as what matters to them. After all, why should a cold prospect care about who you are or what your company does if it doesn’t offer them any value? So, do your research into each prospect before you try to reach out to them. If possible, you should also talk to some of your current customers (if you have them) to understand what need your product or service helps them address. A big part of showing relevance is achieved by personalizing your cold emails. The more you customize a message with each specific prospect in mind, the more responses you will get. Getting all the information you need about a prospect, their company, industry, and needs is a process that takes quite a bit of work, but it really pays off. Another great tip is to mention the prospect’s name a couple of times throughout the email. This move will appeal to their subconscious and help you catch and keep their attention. And if your list of contacts is narrowly targeted, make sure to include as much relevant information and relevant language as you possibly can. Simply put, cold emails should always be short and sweet. Get rid of any language that is too technical, as well as other irrelevant information. This will ensure that you stay focused on providing the information that matters. In fact, experts recommend that you should keep your message short enough that the prospect can read and reply to it in under one minute. When crafting any cold email copy, the goal is to capture the prospect’s interest but leave them wanting more. Your subject line will convince them to open the email, while the copy should convince them to respond. You don’t have to try selling to the prospect, especially not at the early stages. Instead, your job will be to convince them that talking to you will be worth it. This will lead to a meaningful conversation that will usually end in a sale. The prospect already knows about the problem that you can solve. This is the best example of ‘being in the right place at the right time’! Unfortunately, it doesn’t happen very often so don’t get used to it. The prospect knows that they have a huge problem, but they are already working with one of your competitors to solve it. This means that, in order to use your product or service, the prospect has to fire someone. The prospect doesn’t even know that they have a problem. More often than not, you will face the second and third scenarios. That is why it is so important to do your research, make sure that your product or service answers a real and actual need, and be able to communicate this clearly to the prospect. But if you don’t have a ready product or service yet and are looking for early users, make sure that you spend lots of time pitching your idea before you start cold emailing prospects. Remember, most of the decision makes that you want to talk with are very busy. Because of this, you will only have one or two sentences to snag their attention. When thinking about how to start a cold email, it is important to consider what makes a subject line effective. After all, your prospects will use this little bit of text to decide whether to open your message or not. Keep your email brief. A great way of doing this is by sticking to the three-paragraph rule. In short, open with a short introduction, pitch your product, and close with a specific call to action to outline the next step. Make the email copy as personal as possible. This move will show the prospect that you took the time to do your research and learn about them, their company, and their specific needs. Offer some social proof. Add a couple of customer reviews, testimonials, and case studies from some of your former clients. If you have an online profile, you can also direct prospects to some of your best work. This is a great way to show them that you’re a professional who knows what they are doing. Cold email templates are the best way to scale your outreach efforts, especially if you’re planning to get in touch with hundreds – or even thousands – of people. Not only do templates save you time, they make it easier to keep up with the demands of any outreach campaign. And, if you find a good one, they can even help you drive up your cold email open and response rates. I’ve been taking a look at your (mention relevant program/department/service/product) because I’m obsessed with (mention specific field/topic). So much so that I recently developed/built a (software tool/product/service) specifically aimed at (explain the main feature/purpose). I’m looking for people to use my new tool/product/service (mention name of your stuff). (One-sentence value proposition). It could help you (mention some benefits). Do you have any time for a quick 10-minute chat on (mention specific date and time)? I’ve been a huge fan of (name of prospect’s blog/website) for a long time. You always have fresh, interesting content that really appeals to me. Your post/article/video on (mention specific topic) was such a different take on something I’ve also struggled with for a while. That’s why I built/developed a (one-sentence pitch). It will help (mention specific benefits). Based on the feedback that I’ve gotten so far, this looks like it will be a huge thing in the (mention specific) industry. But I’d love to give you an early look before we go public. You’re clearly an expert and I would really appreciate your feedback. Would you like a beta download link? You recently wrote this post about how (highlight main points). Totally agree, but there’s a solution. I built it over the last few months. I decided to reach out because I think your readers would love to know about this. Can I give you a quick sneak peek on (mention specific date and time) before I go on (mention a competitor)? I’ll admit I found you on (mention relevant social media platform/website etc.) and am now cold emailing you, but only because I think you’ll find value in how my company, (name of your company), (highlight main role). I got this idea when (one-sentence pitch). So far, we’ve helped over X people (mention some benefits), and I think (name of prospect’s company) would be the perfect partner for us. I think this partnership would also help you ( mention your value proposition). Are you available for a short 15-minute call on (mention specific date and time) to discuss more on this? Based on my research, I noticed that you invested in (mention specific example) a few months/years ago. That’s why I decided to reach out because our tool complements them well. We’re in the (mention specific) space and have many of the same customers like (give one or two examples). We’re about to start our Seed-Extension so that we can (mention purpose of funding) and sell our product [insert URL] that is already working well (insert relevant proof). Would you be open to a quick 20-minute chat on (mention specific date and time) to discuss more on this? Start off by reaching out to potential customers and explaining what your startup does, how it might benefit, them, and ask them a few relevant questions. If you do this well, you will be able to tell what your target group’s pain points are, who your competition is, and what changes they believe will make the service better. This tactic works even better if you’re offering something of value in return. It could be anything from a free trial or other resource, to interesting insights. Early stage startups would benefit a lot from using this approach. No matter what you’re trying to sell, you should always pay special attention to early adopters. These are the people that are always interested in trying out new things first. To hook them in, craft an email that strokes their ego. You could do this by referring to their knowledge or even creating a sense of exclusivity. Mentioning things like “special focus groups’ and “private beta tests” could also help. Take it further and emphasize the most exciting benefits of your product or service. Simply put, this means leveraging social media to connect with potential customers on a more personal level. You can use social media platforms like LinkedIn or Facebook to find relevant information on these prospects. You can also find some common interests that you can then use to make your cold emails more personalized. The information you choose will depend on what is appropriate for your target group. But the more unique the common interest is, the better. Blasting hundreds of emails every day is never a good idea. First, this approach will overwhelm your prospects to the point where they could simply ignore your messages. And second, there is no way to guarantee that you or your team will be able to personalize and customize each email well enough using this tactic. While it is important to spend time crafting the perfect cold email, you should not forget about tracking your results. Looking at the open and response rates will tell you if your prospects find your emails relevant or compelling enough. Also, test different subject lines to find out what works for your audience. No outreach campaign is complete without the use of a good cold email software. That’s where RooJet comes in. Not only does it help you find the current email address for any prospect, but it also helps you add as many people as you want to your campaign. RooJet also automates your follow ups, ensuring you never miss circling back to potential customers again. Rounding off its list of features is its reporting capability, which helps you keep track of the success of your cold email campaign. The most effective cold emails are short, hyper-targeted, and very persuasive. They focus on showing the prospect just how a particular product or service can help them solve a specific problem. Most of all, they help startups build trust and credibility through the use of social proof or reviews and case studies by past and current clients. Have you used cold email to land new customers for your startup before? If so, we’d love to hear about your experience. Let us know in the comments below!